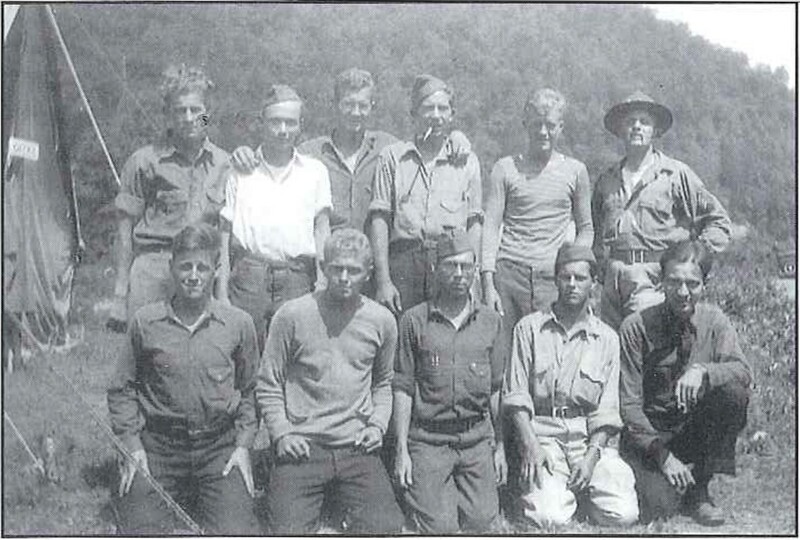 A group of the CCC in West Virginia. with Sergeant John Yancey on the far back right. "Gold Medal CCC Company 1538"